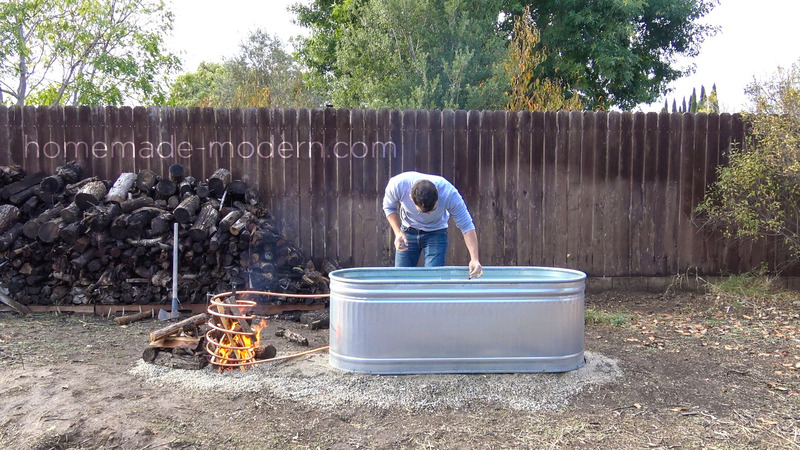 Wood fire hot tubs can overheat and cause injuries. This project is for demonstration purposes only. 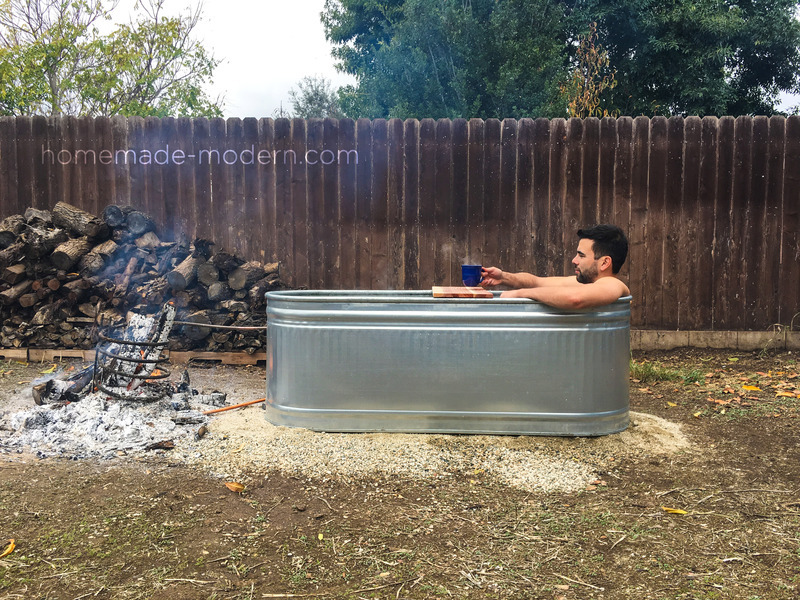 I used a stock tank and some copper tubing to make a wood fired hot tub. This project cost around $250 and took about 2 hours. 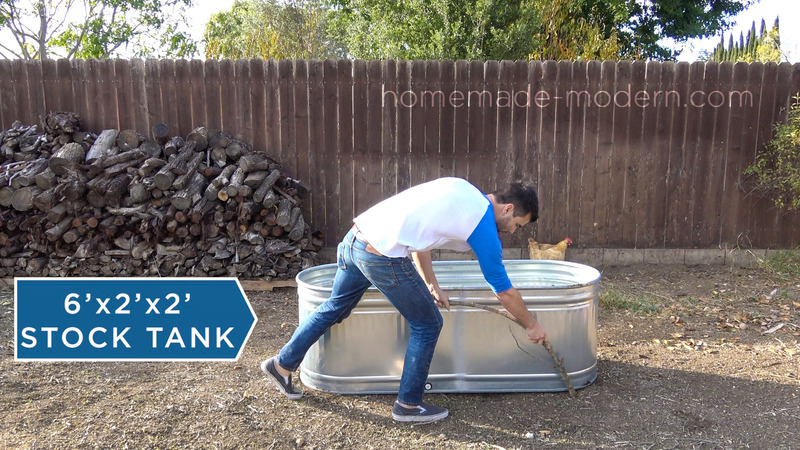 STEP 1: Place the stock tank. 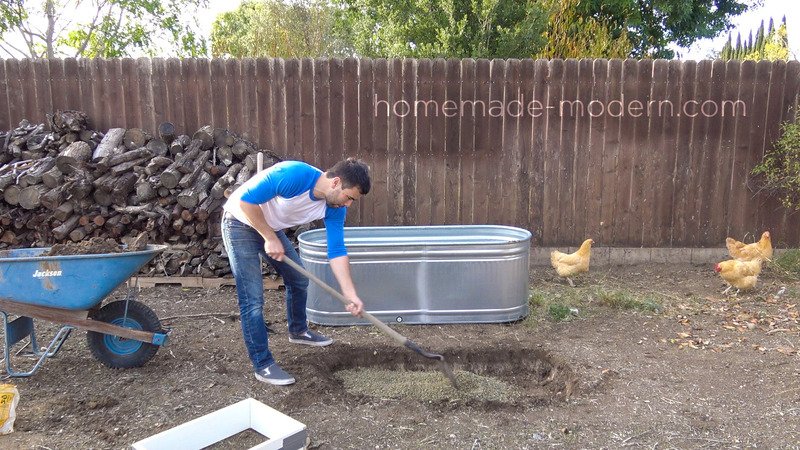 I placed the 169 gallon stock tank on the ground where I wanted it and then traced the perimeter of the tank in the dirt. I then dug about 8 inches into the ground. STEP 2: Pour the foundation. 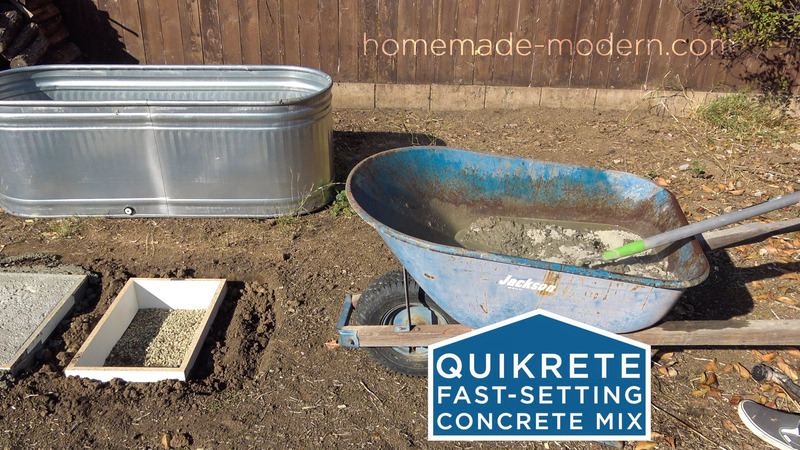 I don’t want the filled tank to sink into the ground so used Quikrete Fast Setting mix to make a pair of quick and easy foundation slabs. 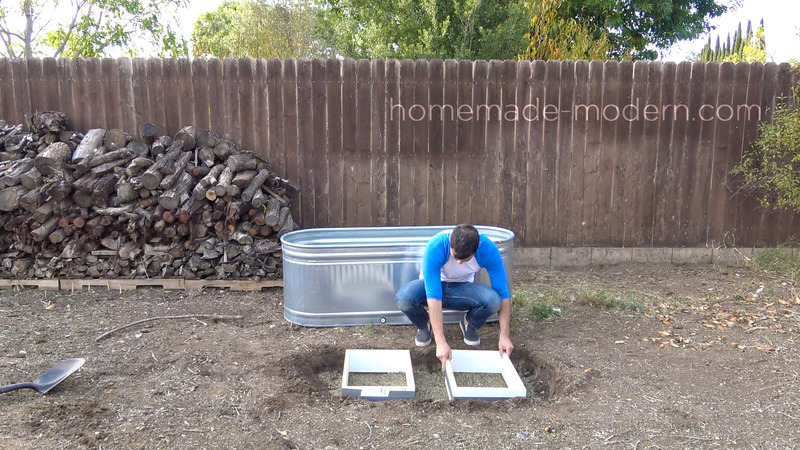 I poured 2-3 inches of gravel in the bottom of the hole and packed it down. 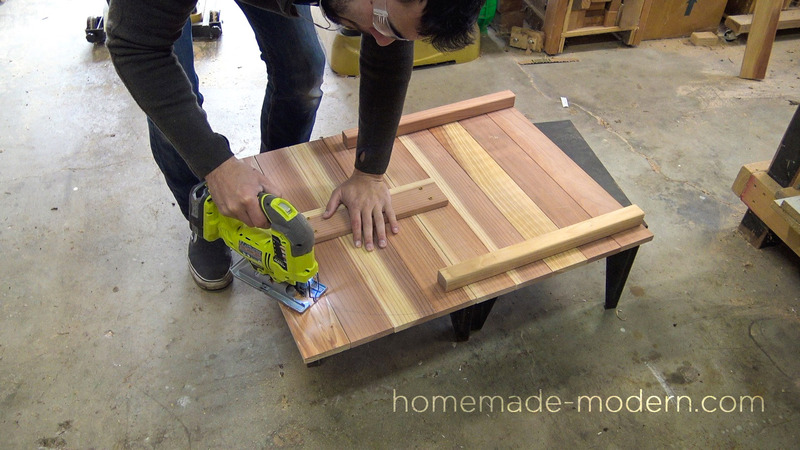 I then used scraps of melamine to make 5 ½” thick frames for the 2 slabs. I mixed some Quikrete fast-setting mix and then poured it into the forms. 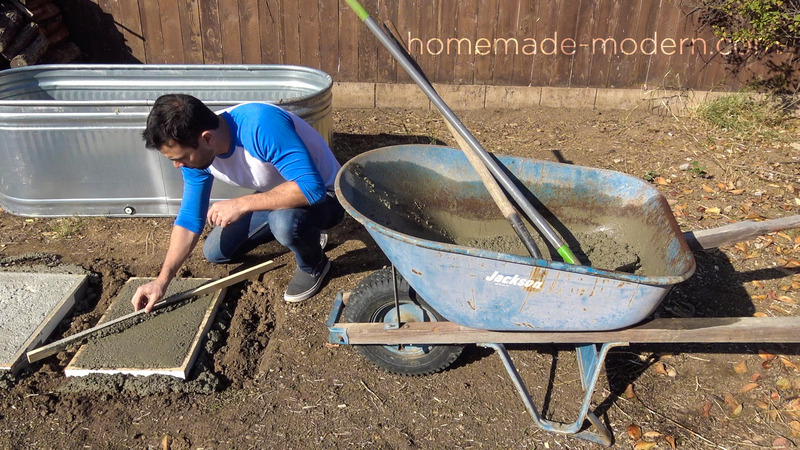 I wanted to the tank to sit slightly higher than the ground around it so i poured a few more bags of gravel over the forms before pouring bags of sand over the gravel. 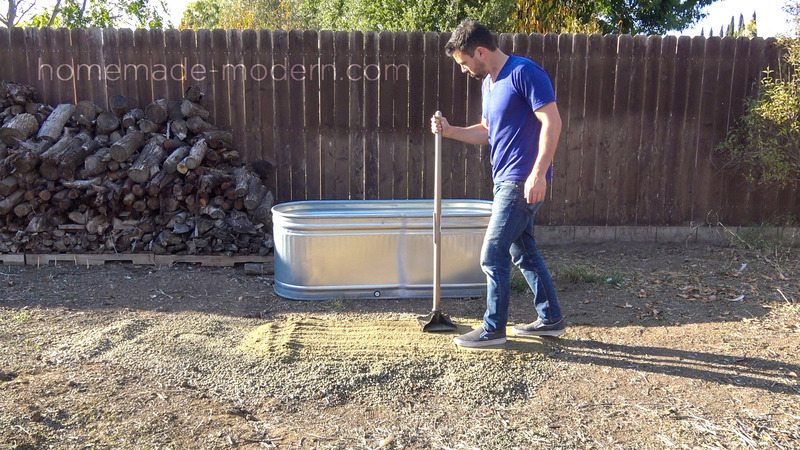 I packed down the sand so that I have a nice smooth level surface that wont sink over time and wont puncture the metal tub. 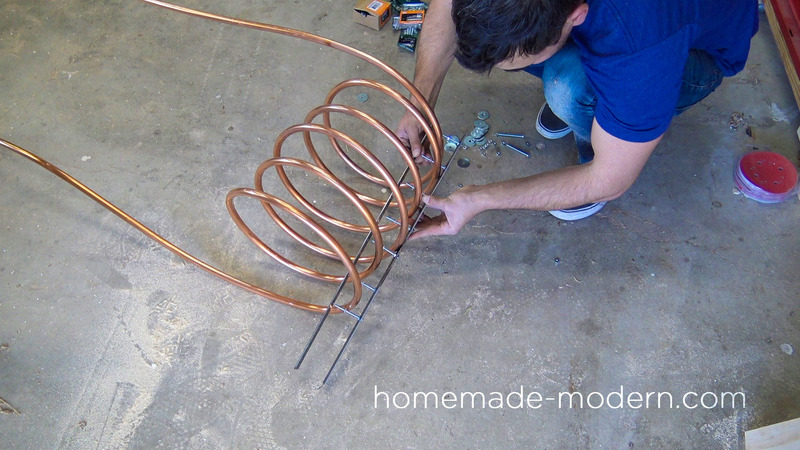 STEP 3: Make the heating coil. 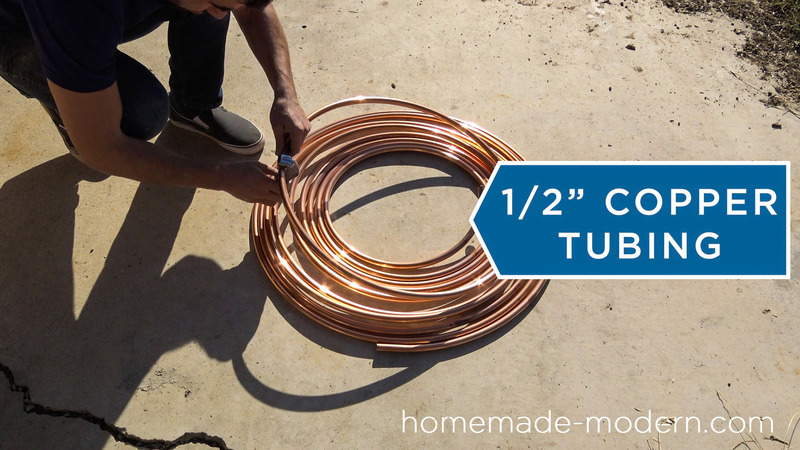 I cut a 20 foot long piece of ½” copper tubing and bent it in a coil around a 5 gallon bucket. I wanted the coil to be about 18 inches tall from top to bottom. 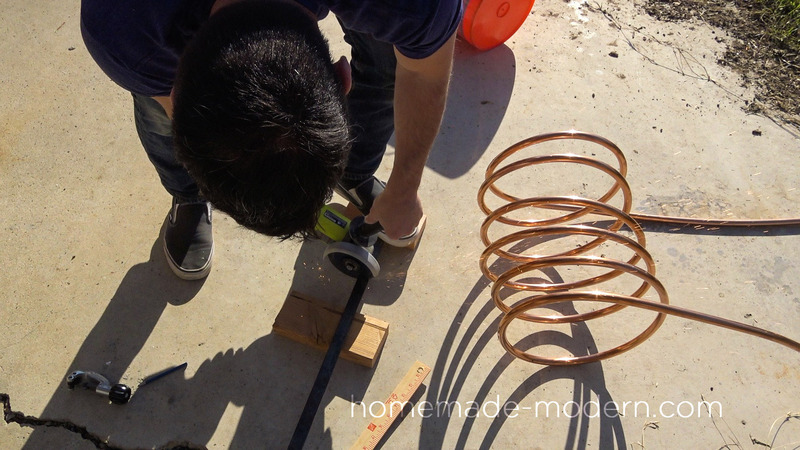 STEP 4: Make supports for the coil. I cut some 1” by ¼” steel bars to make supports for the coil. I drilled holes in the bars so that I could bolt them together around the copper tubing. 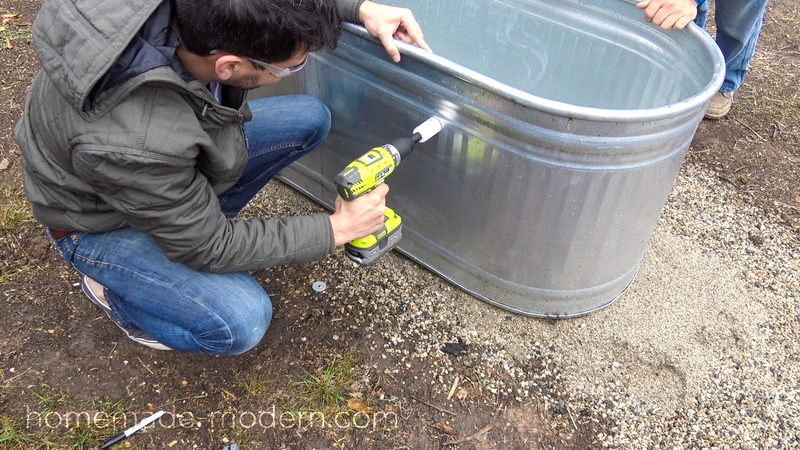 STEP 5: Drill holes in the stock tank. I used a hole saw to drill 1-3/8” diameter holes 18 inches apart in the stock tank. 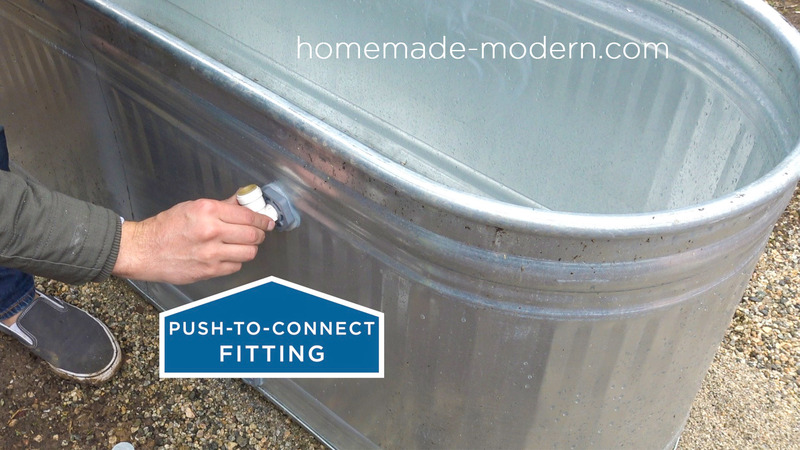 STEP 6: Add the fittings. 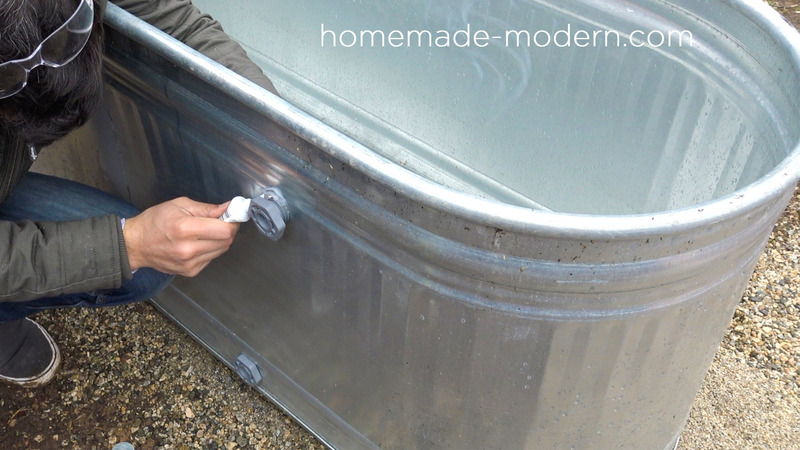 I threaded the tank fittings through the holes and sealed them with silicone caulk. I screwed the push-to-connect fittings into the through wall fittings. 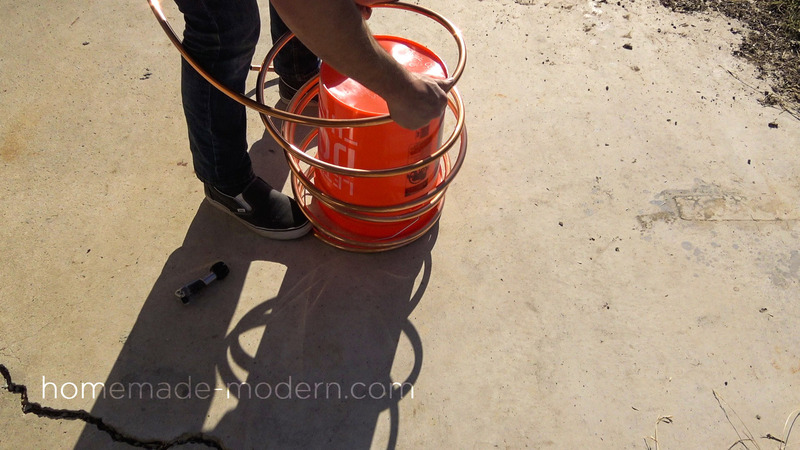 STEP 7: Plug in the copper. The ends of the heating coil were a bit bent so I trimmed them before inserting them into the fittings. STEP 8: Secure the coil. 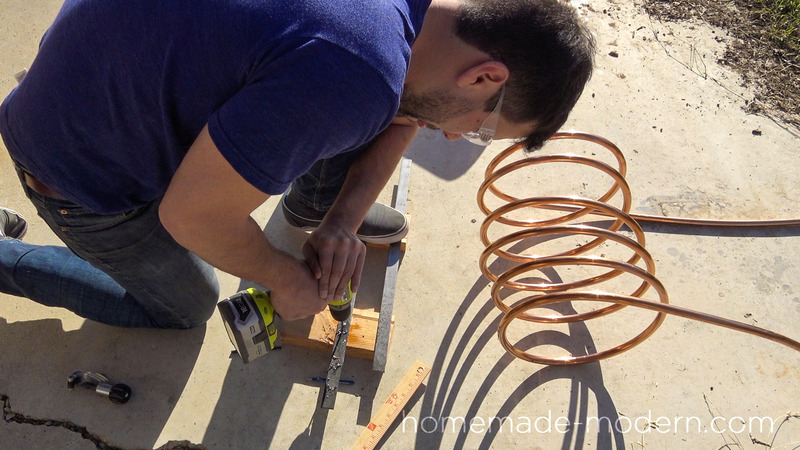 I pounded the steel bars into the ground and added a second set to make sure the coil was sure. 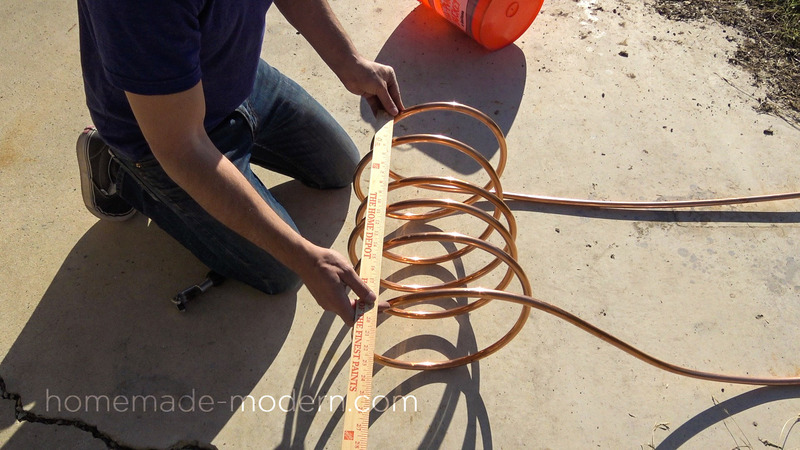 STEP 9: Build the coil. 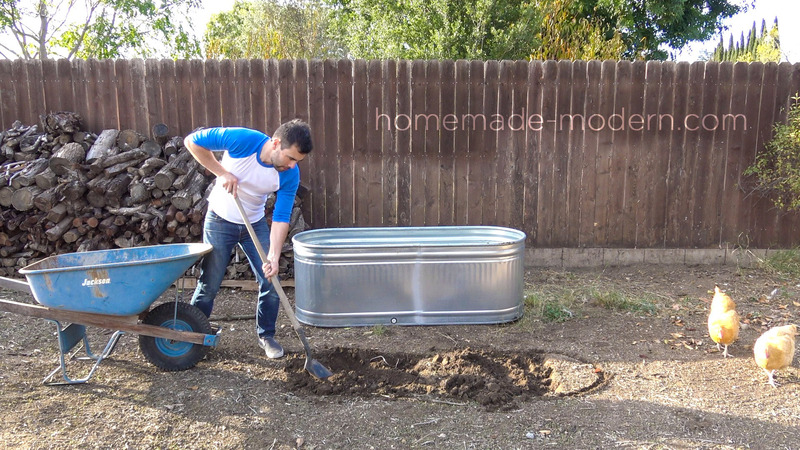 I used ¾” redwood to make a lid that fit over the tank. t was 63 degrees out side and the water started at 56 degrees. 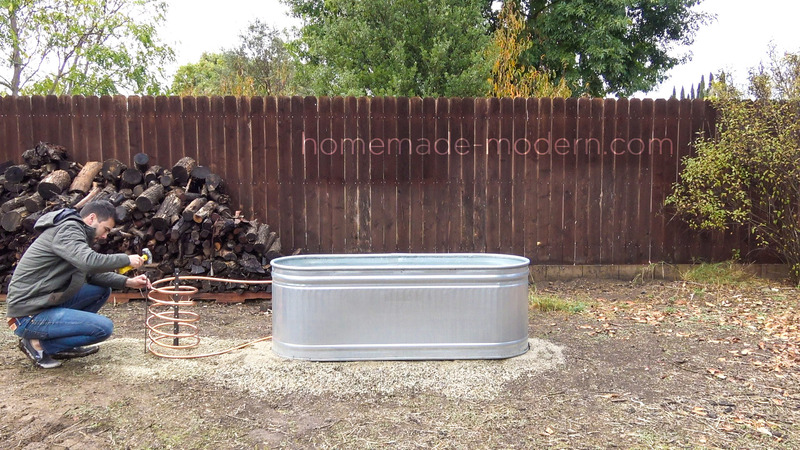 It took about 2 big armfuls of firewood and 2 hours to heat the water to 110 degrees. I spread out the coals and mixed the water since it was stratified. Spreading out the coals allowed me to keep the water at 104 degrees for about 1.5 hours without adding additional wood. 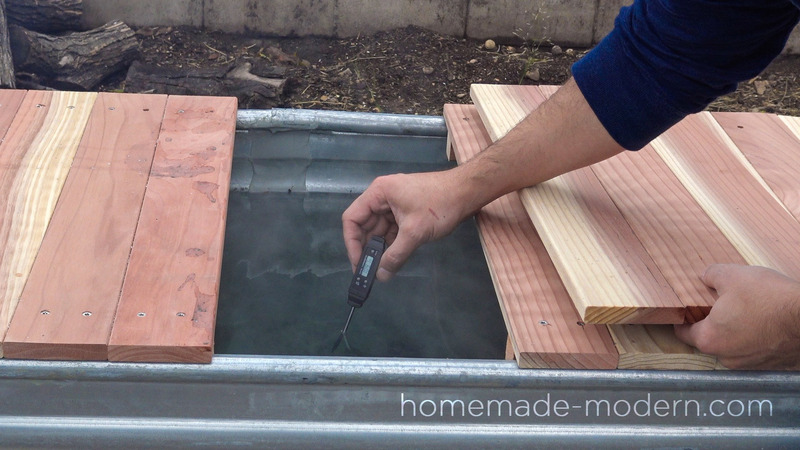 Adding a 2nd coil around the same fire would increase the speed of heating the water. 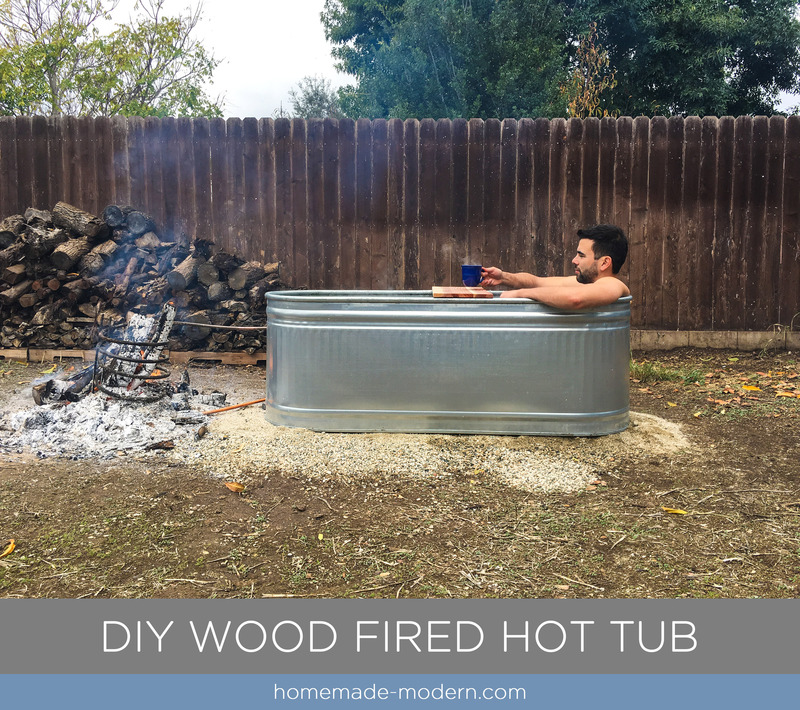 Creating a wood stove like enclosure around the coil would make the system more fuel efficient and help guide the smoke away from the tub. 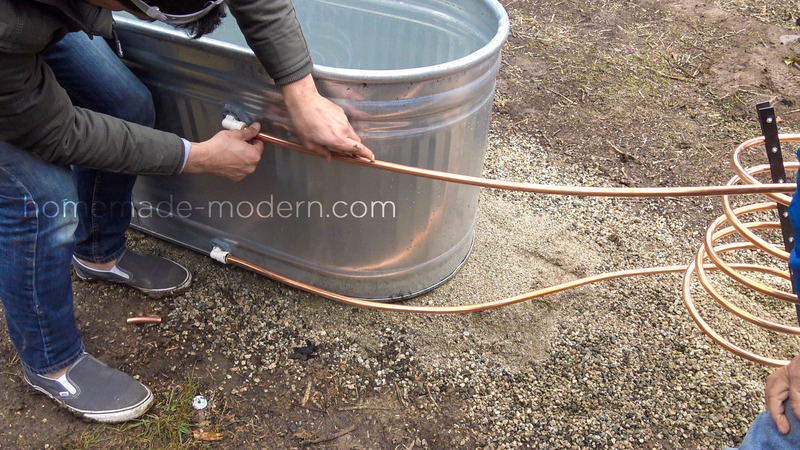 A lot of people suggested switching the supply and return copper tubes but I found that this slowed down the water circulartion to much. 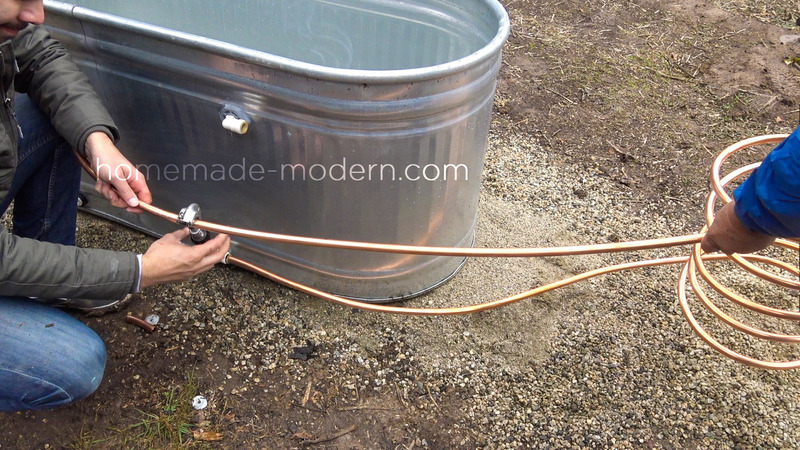 Larger diameter copper tubing was suggested as an improvement. If you like this project, please share it! If you want to see what we're working on next, follow us on Instagram: @benjaminuyeda and @ijessup. 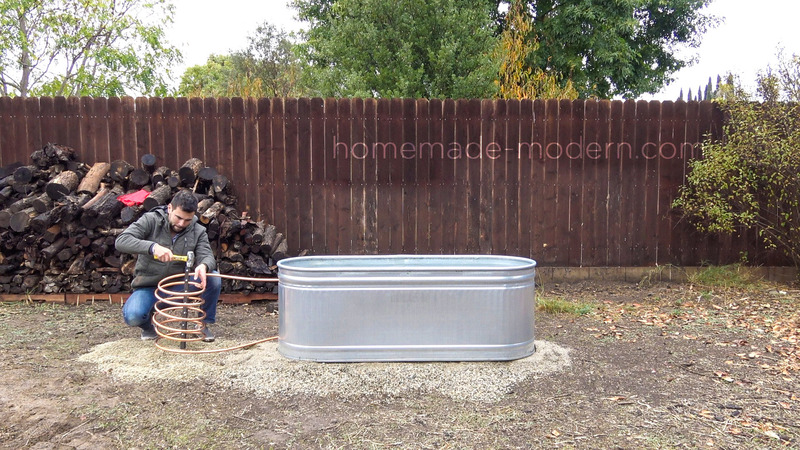 Also check out our book for additional projects, DIY tips and guides.